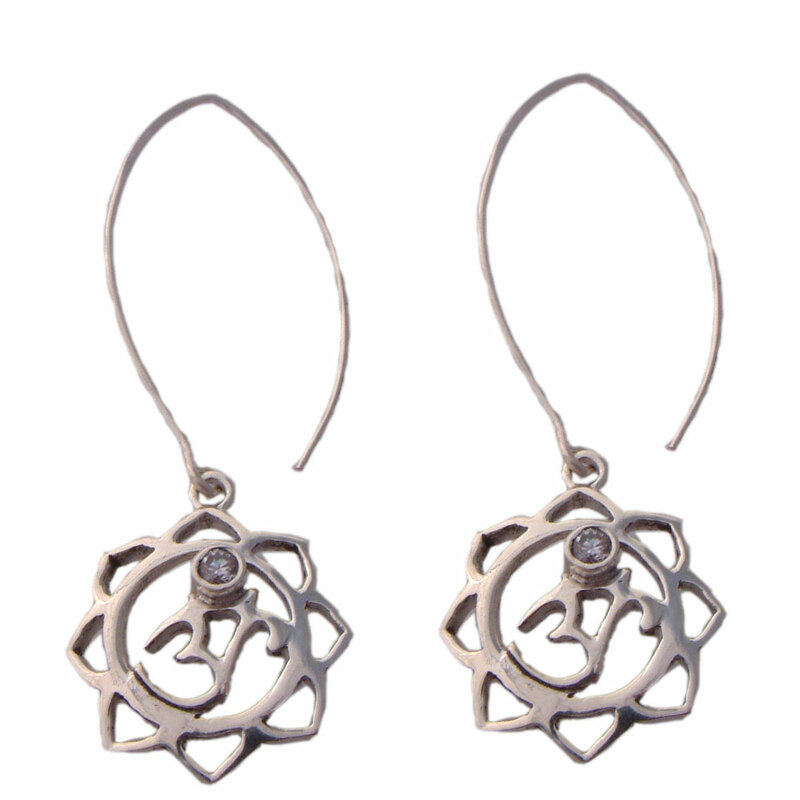 Lotus outline with aum symbol and a cubic zirconia stone inside. 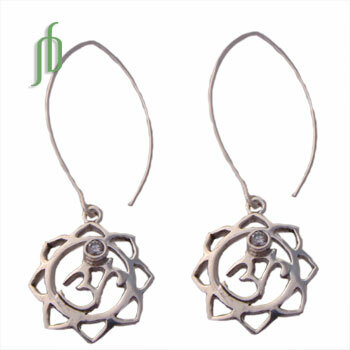 With a trendy drop hook, the 8-petalled lotus om hangs down and twinkles with the diamond-like stone for total awareness. 2 cm charm and earrings hang total of 6.5 cm, 6.4 g. Sterling silver. Made in India. Lotus outline with aum symbol and a cubic zirconia stone inside. Adjustable light-weight aum lotus bracelet.